Sometimes actions or non-verbal reactions cheapen and even contradict what we say. However, without words we wouldn’t be able to fully express what we’re thinking or adequately explain what we’re doing. Or even articulate, Actions speak louder than words. Language, especially a well-defined term, conveys processed meaning to our thoughts and transfers ideas into action. They are vital if we are to distinguish one (world) view from another, then communicate those differences or similarities with as much clarity as possible. Synonyms and antonyms can help with this clarification. Words we use in everyday life express our beliefs (and opinions), explain our actions, and expound our feelings. However, even obvious opposites like right and wrong or good and evil require a fixed reference point, which is absolute truth. A truth that originates from the God who created us, the God who Is Truth … truth that transcends human subjectivity, preferences, and man-made religions. One thing I’ve always found intriguing (also logical) is that Webster’s Dictionary defines the words define and definition. You would think those words wouldn’t need to be defined! But they are, after all, words; and all words should be defined to some extent or another. Define: “1 a: to fix or mark the limits of. b: to make distinct, clear, or detailed in outline. 2 a: to determine or identify the essential qualities or meaning” (Webster’s Dictionary). Definition: “1: an act of determining. 2: a word or phrase expressing the essential nature of a person or thing … 4 a: the action or the power of describing, explaining, or making definite and clear” (Webster’s Dictionary). Thus, if the term being defined is a clear (objective) expression of the subject being described or explained, then the term must be given definitive significance as accurately representing the essential nature of the person or thing. Most terms originate secondarily from the need to summarize or categorize or explain people, events, beliefs, and actions. For instance: Long before the identifying labels of Republicans and Democrats were coined and became mainstream in the United States (and equivalent political groups in other countries), there were capitalists and socialists, conservatives and liberals, right and left. Which also are concept terms to explain fundamental differences between people’s political, economic, and social persuasions. We don’t question the creation or use of Republican and Democrat, even though these terms are generally condensed categorizations of more specific belief systems. 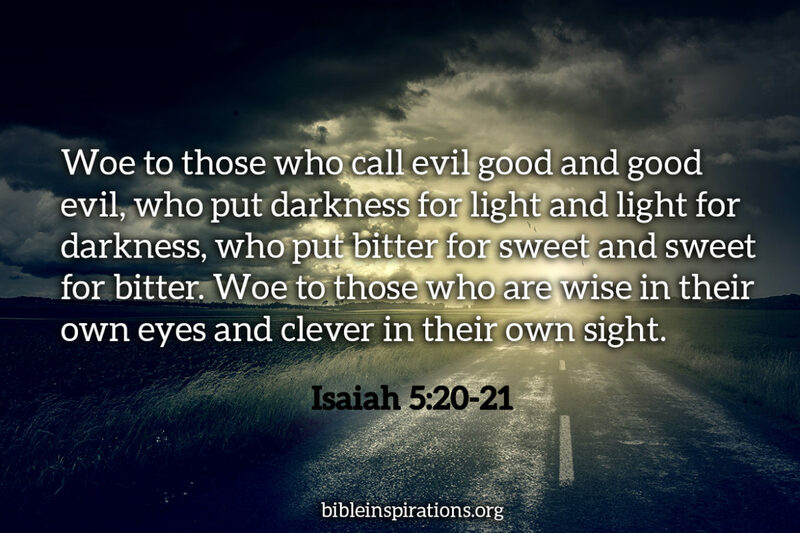 On the other hand, there are those who question and even criticize some Christian expressions (beliefs), especially if the term itself is not actually found in the Bible. Most theological terminology is specifically identified in Scripture, usually as a component part of the word or phrase describing the doctrinal (that which is being taught) truth itself. For example: Justification, Sanctification, and Glorification … expressing the three separate and sequential components of God’s Biblical salvation. Which respectively represent and are defined (paraphrasing) as: Salvation through a new birth in Christ; set apart to grow in the grace and knowledge of Messiah Jesus; the glorious transfiguration of believers with new bodies to complete our redemption. We’ll look at the most prominent and extensively used terms. Though these four designations are not found in Scripture, they are credible characterizations of several passages that express the existence and state the substance of what the terms represent. They are: The Trinity; The Rapture; The Millennium; and Eternity. Note: the word eternity is used in Scripture, but in the broader generic sense of eternal, everlasting, or infinity. Contrasted to the specific theological concept of a (the) designated age which is called, Eternity. As already emphasized but bears repetition in the context of terms representing the existence or essence of someone or something; just because the word Trinity does not appear in Scripture doesn’t mean that God is not one God in three Persons. Another term used is: The Godhead—Father, Son, and Holy Spirit. The triune God is directly and indirectly featured in both New & Old Testaments. Directly, for example, in the scene of Messiah Jesus’s baptism. “… I saw the Holy Spirit descending like a dove from heaven and resting upon him. 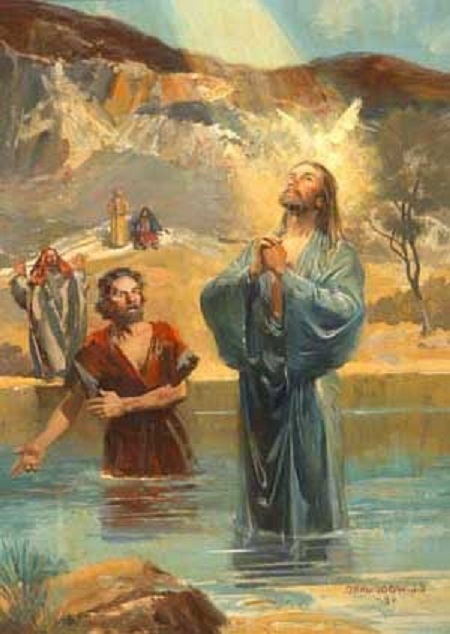 I didn’t know he was the one, but when God sent me to baptize with water, he told me, ‘The one on whom you see the Spirit descend and rest is the one who will baptize with the Holy Spirit.’ I saw this happen to Jesus, so I testify that he is the Chosen One of God” (John 1:32-34). Also, with Jesus’s direct reference to the Father, Son (himself), and Holy Spirit in what is commonly called, The Great Commission (Matthew 28:18-20). Which is another term not actually found in Scripture used to define a precept which is explicitly explained … the urgent need to spread the (Good News) Gospel of Messiah Jesus to the entire world. There are other instances in the New Testament in which Jesus refers to himself as the Son of God, the Son of Man (meaning the Messiah), with testimonials to his Father (God) and to the Holy Spirit as a Person (of the Trinity). “Then God said, ‘Let Us make man in Our image, according to Our likeness.’ (Genesis 1:26, NASB, italics for emphasis). Not once, not twice, but three times God refers to himself in the plural…. Jewish and Gentile Christians alike often refer to this incredible creation account to further affirm the New Testament references to Messiah Jesus and the Holy Spirit as part of the Triune God … The Godhead. That all Three in One were active in creation of man in their image. Jewish scholars attempt to refute this obvious fact by saying that the plural (we, us) was sometimes employed by kings or other royalty to denote majesty. Whereas that is true with regard to some historical records, it is rarely true of Scripture. Almost always the kings of Israel spoke in the first person, as does God, himself. It would take considerable research (of which time doesn’t permit for this article) to determine how many times, if any, that the Lord uses We or Us when speaking to his prophets, but I can safely summarize that at least ninety-nine percent of the time, the singular pronoun is utilized. …Up front, the Lord wants us to understand that He is the one and only God, but that He is also a Triune God. Don’t ask me or any Bible scholar to adequately explain that. It is simply too much for the human mind to grasp. But since when does human intellect alone fully explain even half of the mysteries of the universe, let alone the inscrutable concept of a Triune God. We haven’t even yet figured out gravity. We know that it exists only because it must exist to explain why heavenly bodies stay where they are and why we don’t go spinning off into space. We know gravity exists only because of what it does. We have no clue where it came from, any more than we know where wind originates. There are analogies like the sun: God the Father is the sun itself; God the Son is the light of the sun; God the Spirit is the rays of the sun. Or the three forms of water … liquid, solid, and gas. But they are inadequate metaphors. I think the closest we can come to at least a limited understanding of this otherwise unfathomable paradigm is ourselves: The body, soul, and spirit … indivisible yet separate facets of (a human) being. In fact, when God refers to his plurality in the Genesis account of creation, he relates to the creation of man in God’s image. I’m sorry, but it is an extremely weak argument to suggest that the plurality of God in the Genesis account is merely a way of God underscoring his majesty. In fact, the Lord doesn’t need to stress his majesty at all, as it’s all too apparent by the very fact that he is the Creator. The Holy Spirit (or Spirit of God) is also declared throughout the Old Testament. And, as extensively explained in the article quoted, Psalm 2 and Psalm 110 specifically refer to God’s Son. I also discussed this in last week’s article, Melchizedek … A Man of Mystery! This extraordinary event is questioned even by some Christians; based, in part, on the absence of the term, Rapture, in the Bible. Once again, I trust that the introduction to this week’s article would cause concession to the (obvious) fact that a term can be justifiably created to encapsulate something; the label of which is otherwise not found in preceding books or articles or whatever. Another example: Populist and Globalist are relatively new tags to describe those who champion the voice of the people and/or national sovereignty vs. those who would like to see international amalgamation of (at least continental) nations, such as the diehard proponents of the European Union. Literature and speeches about these opposites pre-existed the coined terms that subsequently consolidated and characterized what Populists and Globalists believe. Time/space doesn’t permit elaboration on the two primary Bible passages that dramatically depict this glorious event which includes resurrection and transfiguration of the dead in Christ and those believers alive at the time, to our new eternal bodies. Then the snatching or catching up (harpazo in the Greek) of believers to heaven. They are found in I Thessalonians 4 and I Corinthians 15. Those who deny the Rapture, ignore or feebly explain away these two amazing prophetic passages. (See Eye of Prophecy article, The Tremendous Transfiguration of Believers! Posted 7-23-16. Also, The Shout Heard Around the World, posted 4-22-17; along with Messiah’s Return & The Rapture (Same or Separate Events?) Posted 12-3-16. If you like, also refer to the very first Eye of Prophecy article, posted in July 2013, simply entitled, What Is the Rapture? Followed successively by four more articles on the Rapture … Why, Who, When, and How). However, I will cite one passage, which is the first reference to the Rapture given to us by Jesus, himself. Our Lord prefaced this remarkable disclosure by saying that the episode would happen abruptly. That the world would be doing the same things that people were doing in Noah’s time, just before the Great Flood swept them away. “That night two people will be asleep in one bed; one will be taken, the other left. Two women will be grinding flour together at the mill; one will be taken, the other left” (Luke 17:34-35). 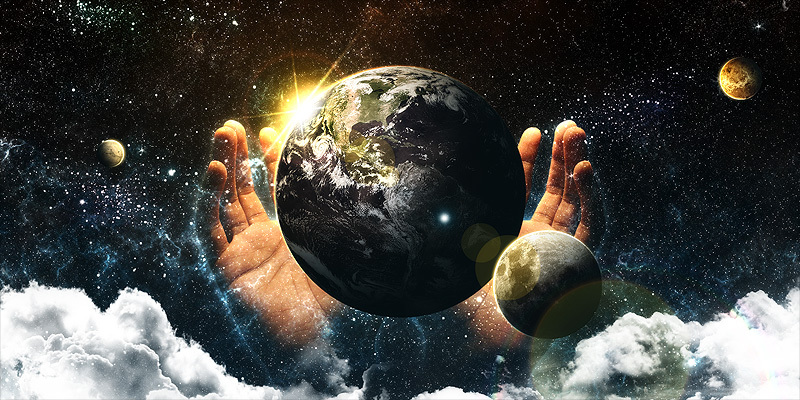 In this and the next section (Eternity) of today’s article, we’ll focus on what is probably the most difficult feature of prophecy to ascertain: distinguishing which activities will occur and what conditions will exist in these two distinct future ages. These differences are particularly challenging to pinpoint in the Old Testament. Is the prophet referring to the New Testament revelations (which are much easier to identify) of the Millennium or to Eternity that follows the Millennium? As indicated, the term Millennium or Millennial is also not found in the Bible. However, it’s (future 1000-year) existence is just as real as the Trinity, the Rapture, and Eternity. Although Millennium and Eternity are (should be) capitalized when referring to them as Biblical creeds, they are used as much or more often generically in the lower case … millennium and eternity. Likewise, with rapture. Not so with Trinity—which is employed exclusively for the triune (unified) existence of God the Father, Son, and Holy Spirit. In fact, when referring to the Biblical concepts and actual terms of Trinity, Rapture, and Millennium, each should be prefaced with the definite article, the. Eternity can stand alone without the definite article, but the better way (which hardly anyone does, including me) would be to say or write, The Age of Eternity. What about the last part of this definition? Will it be a time of great happiness or human perfection? Let’s see what Scripture tells us. Before we look at the actual (found only in the book of Revelation) Biblical reference to the Millennium, we need to know that this one-thousand-year period is a chronological continuation of the preceding events in Revelation. Also, with understanding of certain events which are parenthetical interludes that temporarily interrupt the chronology of (for example) the consecutive seal, trumpet, and bowl judgments. Yet both sets of events (interludes and sequential) culminate with Messiah’s final triumphant return to earth to vanquish “the kings of the world and their armies” (Revelation 19:19). Then, the Millennium is introduced in Chapter 20 by listing (defining) the parameter of time involved. From Chapter 20 to the end of Revelation, we return to a consecutive (chronological) chain of events. “Then I saw an angel coming down from heaven with the key to the bottomless pit and a heavy chain in his hand. 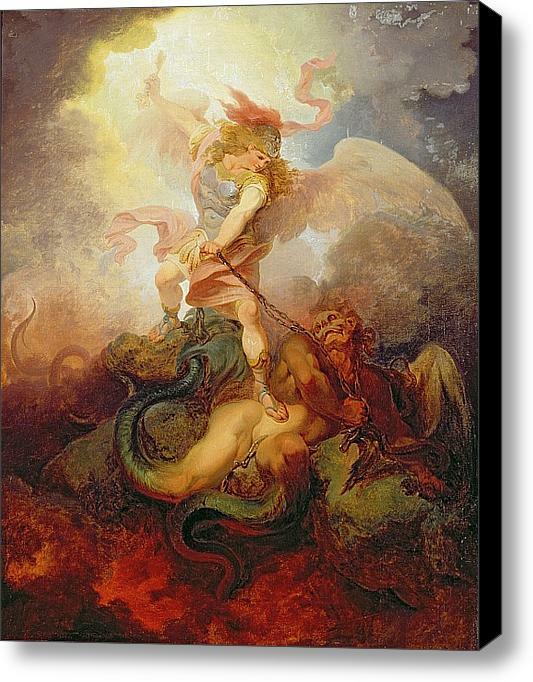 He seized the dragon—that old serpent, who is the devil, Satan—and bound him in chains for a thousand years. The angel threw him into the bottomless pit, which he then shut and locked so Satan could not deceive the nations anymore until the thousand years were finished. Afterward he must be released for a little while” (Revelation 20:1-3). There are four more citations (a total of six altogether) in Revelation 20 of this specific one-thousand-year period. Such as: “Blessed and holy are those who share in the first resurrection (at the Rapture and again when the Tribulation Saints are raised). For them the second death holds no power, but they will be priests of God and of Christ and will reign with him a thousand years” (Revelation 20:6, parenthesis mine). Despite six distinct references to a thousand years, there are those who think that the Millennium is merely symbolic of … of who knows what—perhaps a long, indefinite period which may or may not last for a thousand years. For the following reasons (and more), that simply cannot be the case; the 1000 years are as literal as they can be. – To enhance the intended meaning of a literal period, the last reference states: “When the thousand years comes to an end, Satan will be let out of his prison” (Revelation 7:20, italics for emphasis). – If the Millennium was merely metaphorical, John would have said something to the effect of, “a long time” or possibly “at the appointed time.” Or, “in the distant future,” a phrase found in Ezekiel 38:8. – The 1000 years is as literal as other time-dedicated prophecies in Scripture. Such as: Seven days from the completion of Noah’s ark to the onset of the rain; 400 years (four generations) span of Israel’s time in Egypt before the Exodus; Israelites wandering in the wilderness for 40 years; all of the weekly, monthly, and annual God-ordained observances and festivals of the Mosaic Law; the 70-year Babylonian captivity; Daniel’s 490 years (70 weeks) and even more specifically the 69 weeks (483 years) from the rebuilding of Jerusalem’s walls to the arrival of Messiah, then the final week (seven years) which is the time of the Tribulation; Jesus’s three days/nights in the tomb. – The list goes on. All Bible prophecies are of vital significance. But there are some in which the Lord wants us to know the duration or intervals, to realize when they will occur and/or how long they will last. It’s a bonus to the blessings of trusting God’s control of the future by comprehending the actual duration of the event. That the dynamics of these specified periods will not continue indefinitely, as God’s magnificent plan for humanity has unfolded and will continue to unfold in set periods of time … most of them quantified in Scripture. Personally, I (and hopefully you and others) continue to be amazed at how much information and details the Lord has given us throughout Scripture … past, present, and future. In a world bloated with facts but lean on wisdom and the desire of so many to know the future, why not look to the One who holds the future in his hands. Who is everlasting to everlasting and knows the end from the beginning. The One who IS the beginning and end. The God who created time itself. As some have said: Don’t look to the stars and planets, look to the One who created them. Even before Revelation Chapter 20 tells us about the one-thousand years (hence, the term Millennium), the Gospels and Epistles provide fascinating footage of this exceptional age. (I chose the term footage to pictorially represent what Biblical prophecy is and does. When it’s played as it comes to pass, it’s like watching film footage of the taped recorded prophecy itself). In fact, Messiah Jesus’s entire Sermon on the Mount (Matthew Chapters 5-7) depicts the dynamic interpersonal relationships of those on earth living in the Kingdom of God, which will be ushered in during the Millennium. A kingdom that would have been established during Jesus’s First Advent if his people had only recognized and accepted him as their Messiah. God knew this would happen. All praise and everlasting gratitude that our Omniscient, Omnipotent God had already created and subsequently carried out his magnificent plan of redemption through the rejection, crucifixion, and (of course) resurrection of His Son. The Lord circumvented and controverted the diabolical scheme of Satan and the evil of those who carried out the devil’s plans. How fitting that the Millennium begins with Satan’s imprisonment in the Abyss. As we also read earlier, believers in Christ will “reign with him a thousand years.” (Revelation 20:6). Before that we read: “Then I saw thrones, and the people sitting on them had been given the authority to judge…” (Verse 4). What about Old Testament allusions to the Millennium? Can we identify them? If so, can we separate them from those conditions exclusively found in and during Eternity? Yes, we can … most of the time! The most prominent clues are Old Testament references to Messiah himself. Time/space will only permit examination of two passages. However, you’ll find a generic template that will fit other Millennial passages, particularly in the context of Israel’s spiritual redemption and physical restoration that will take place during the transition between the Great Tribulation and the Millennium. A final restoration that will be completed in the early phase of the Millennium as depicted in such passages as Zechariah Chapters 12 & 14. With Chapter 14 also containing one of the amazing features of Eternity (verses 6-7). All Old Testament end-times prophecies fall into one of four time-dedicated stages: The final generation pre-Rapture events (100 years on up); post-Rapture (seven-year Tribulation); the Millennium; and Eternity. Let’s begin with a (partial) quotation of a passage discussed in Eye of Prophecy article, Messiah’s Millennial Reign … Incredible Changes on Earth, posted 12-30-17. 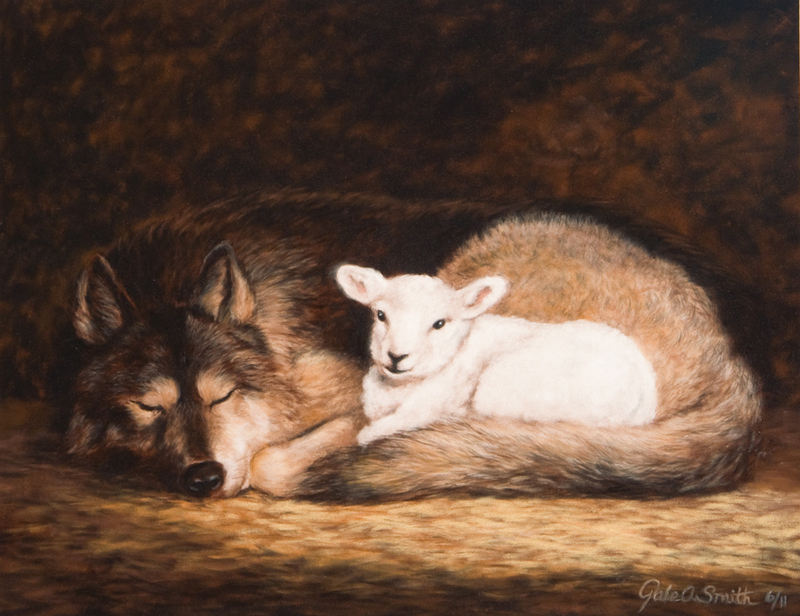 “In that day the wolf and the lamb will live together; the leopard will lie down with the baby goat. The calf and the yearling will be safe with the lion, and a little child will lead them all … The lion will eat hay like a cow … The baby will play safely near the hole of a cobra…” (Isaiah 11:6-8). Such a radical change in the animal kingdom is nothing short of astonishing. Will this take place during the Millennium or not until Eternity begins? For that matter, what’s the benefit of knowing in which age such a remarkable transformation (and others) will occur? There are other reasons (you may have one or more of your own), but here is one answer to the question just posed: In addition to the thrill of knowing when, there is (should be) now—and will be during the Millennium—an appreciation that the Lord will do certain things in the specified 1000 years to meet and exceed our expectations (and satisfy our curiosity) while we are being prepared for Eternity. That is one of the outstanding benefits of many prophecies fulfilled during the Millennium (others waiting for Eternity): to validate one of the most well-known passages of Scripture. “Now we see things imperfectly, like puzzling reflections in a mirror, but then we will see everything with perfect clarity…” (I Corinthians 13:12). It’s possible that the section dealing with the incredible changes in and between the animal kingdom and human beings might not begin until after the Millennium. However, like most Bible passages (not all, as some sub-passages can stand alone), context will determine the best application and greater understanding. Isaiah 11 begins with a Messianic prophecy: “Out of the stump of David’s family will grow a shoot—yes, a new Branch… And the Spirit of the Lord will rest on him—the Spirit of wisdom and understanding…” (Isaiah 11:1-2a). Then, “…The earth will shake at the force of his word, and one breath from his mouth will destroy the wicked” (Verse 4b). 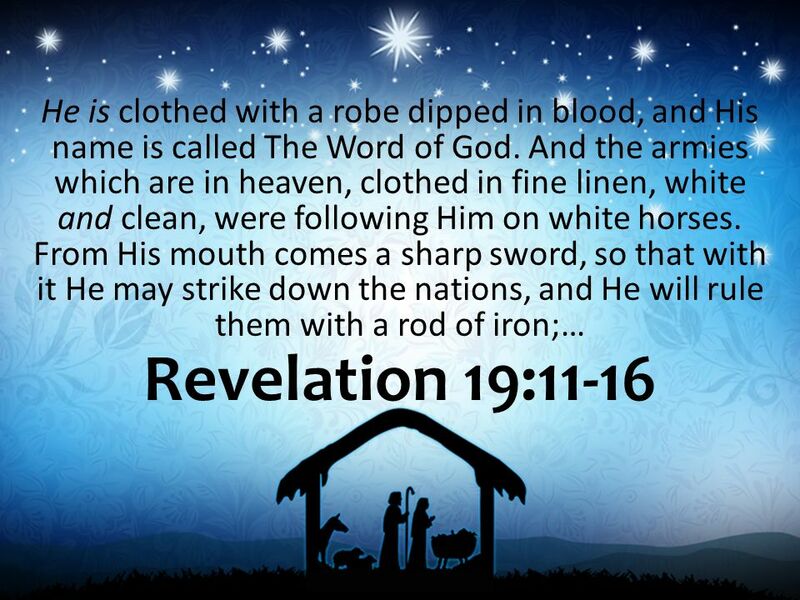 See Revelation 19:11-21 for final fulfillment of this prophecy. Next is the sub-passage quoted earlier: “In that day the wolf and lamb…” (Verse 6). Followed by: “In that day the heir to David’s throne will be a banner of salvation to all the world. The nations will rally to him, and the land where he lives will be a glorious place. In that day the Lord will reach out his hand a second time to bring back the remnant of his people…. He will gather the scattered people of Judah from the ends of the earth” (Isaiah 11:10-12). The passage on the animal kingdom is tucked between and intricately linked to the coming of Messiah (first for salvation, then for judgment and restoration), which includes the final gathering of Jews, from the ends of the earth. It’s quite evident that these things won’t happen in finality until the Millennium; if for no other reason than the passage states, “the land where he (Messiah) lives.” Meaning, of course, when Christ returns to rule and reign from Jerusalem for one thousand years (Revelation 20). Thus, with a good deal of certainty, we can conclude that the disposition of animals toward each other and towards people will be dramatically altered during the Millennium, most likely on a gradual basis. “In the last days, the mountain of the Lord’s house will be the highest of all—the most important place on earth … and people from all over the world will stream there to worship … There he will teach us his ways, and we will walk in his paths. For the Lord’s teaching will go out from Zion … The Lord will mediate between nations and will settle international disputes. They will hammer their swords into plowshares … Nation will no longer fight against nation, nor train for war anymore” (Isaiah 2:2-4). Although the Messiah isn’t mentioned in this passage directly (as Messiah), the implication is as clear as Isaiah Chapter 11 … that “the Lord” is (the triune) God; but specifically, in the context of this passage—the Messiah (God’s Son). His sovereignty over the nations in Isaiah 2 (and other passages like it) can be equated to both Psalm 2 and Psalm 110, which explain how God’s Son will rule the nations. During the Millennium, world leaders and nations will know that it’s best to seek his counsel, rather than fighting among themselves to resolve conflicts. In fact, Messiah (Jesus) himself will settle disputes. Does this passage and other Millennial passages like it mean—referring to Webster’s definition quoted earlier—that the (entire) Millennium will be a time of great happiness or human perfection? No, it doesn’t nor, will it be. Which is why Messiah Jesus will rule with fairness and justice, but with tough love. As wonderful as the Millennium will be—exponentially better than the world has ever been or is now—this “rod of iron” imagery (fair but firm) wouldn’t be necessary if everything was picture perfect. “In the end, the enemies of Jerusalem who survive the plague (referring directly to the last days of the Tribulation period) will go up to Jerusalem each year to worship the King (Messiah), the Lord of Heaven’s Armies, and to celebrate the Festival of Shelters. Any nation in the world that refuses to come to Jerusalem to worship the King … will have no rain” (Zechariah 14:16-17, parenthesis mine). Some things will be immediately so much better than before; not the least of which is no more war. Other things will improve more gradually. But then matters will begin to get worse toward the end of the Millennium, because many people will have reverted back to form, even without Satan’s influence and even with the very presence of Christ on earth. Which sadly testifies to the degenerate nature of men and women who refuse the heart-changing redemptive regeneration through Messiah’s salvation. Unlike man-made religions, the Lord never has and never will force anyone to “convert.” Messiah Jesus will be visibly present on earth during the Millennium yet believing and receiving him as Lord and Savior will still be a matter of personal choice. “…gather them together for battle—a mighty army, as numberless as sand along the seashores. And I saw them as they went up on the board plain of the earth and surrounded God’s people and the beloved city. But fire from heaven came down on the attacking armies and consumed them. Then the devil, who had deceived them (into thinking they could defy and defeat Messiah), was thrown into the fiery lake of burning sulfur, joining the beast and the false prophet. There they will be tormented day and night forever and ever” (Revelation 20:8-10, parenthesis mine). It’s one thing to personally reject God’s grace and mercy offered through trust in and obedience to Messiah Jesus. God deals with that choice individually. It’s quite another thing to organize a vast army and dare to take on the Kingdom of God by vainly trying to conquer “God’s people and the beloved city (Jerusalem).” The Lord deals with that on a much greater scale. Rebellion over, crushed before it barely began! Before Eternity begins, there will be one last monumental event at the end of the Millennium. It’s called the Great White Throne judgment of God, a term found in the passage. All those from the beginning of time who died without trusting in God and refusing to exercise simple faith to believe and receive God’s salvation (accomplished through the past, present, and future efficacy of Messiah’s redemptive sacrifice), will be judged and, “thrown into the lake of fire” (Revelation 20:14 … all of verses 11-15). Then, the very next chapter of Revelation continues the order of events with what is clearly the beginning of Eternity. “And the one sitting on the throne said, ‘Look, I am making everything new!’” (Revelation 21:1-5a). Some key phrases in this passage: all these things are gone forever. Look, I am making everything new! Here, the Lord is referred to as God … Elohim in Hebrew (plural). Messiah Jesus will have already been on earth for 1000 years. 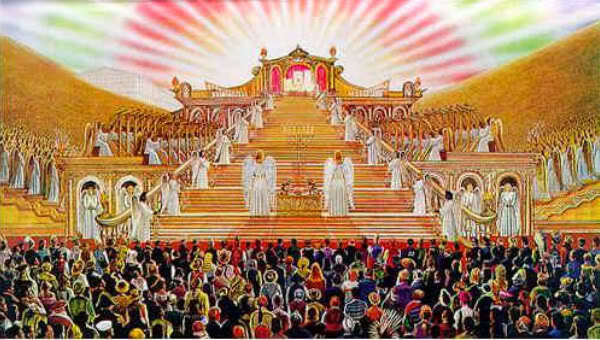 Now, God (the Father … the “one on the throne”) will dwell among people of the (new) earth, also in heaven. Just like he did with his Shekinah glory in the Tabernacle and Temple. Thus, one similarity between the Millennium and Eternity is that of Immanuel—God with us. Only during eternity (Eternity) it will be the Trinity dwelling among God’s people. But there will be no more death or sorrow or pain, which will still exist during the Millennium. “…a river with the water of life, clear as crystal, flowing from the throne of God and of the Lamb…. On each side of the river grew a tree of life, bearing twelve crops of fruit, with a fresh crop each month. The leaves were used for medicine to heal the nations. “No longer will there be a curse upon anything. For the throne of God and of the Lamb will be there, and his servants will worship him” (Revelation 22:1-3). A few Old Testament prophecies are sweeping in scope, encompassing the Tribulation, the Millennium, and Eternity in a single chapter or passage. Some things that begin in the Millennium will continue throughout Eternity, but not all. The more you study them, the better you’ll become at matching them to the Millennium or Eternity. Including which passages apply to the Tribulation period of the Day of the Lord. Tribulation: Another term (capital “T”) coined to identify and condense into one word all events of the seven-year treaty orchestrated by the Antichrist. Everlasting life (eternity in the lower case), is given to us the moment we accept Messiah Jesus as personal Savior. When born-again believers die (Jew and Gentile alike), their spirit instantly goes to heaven to be with the triune God … the Trinity. 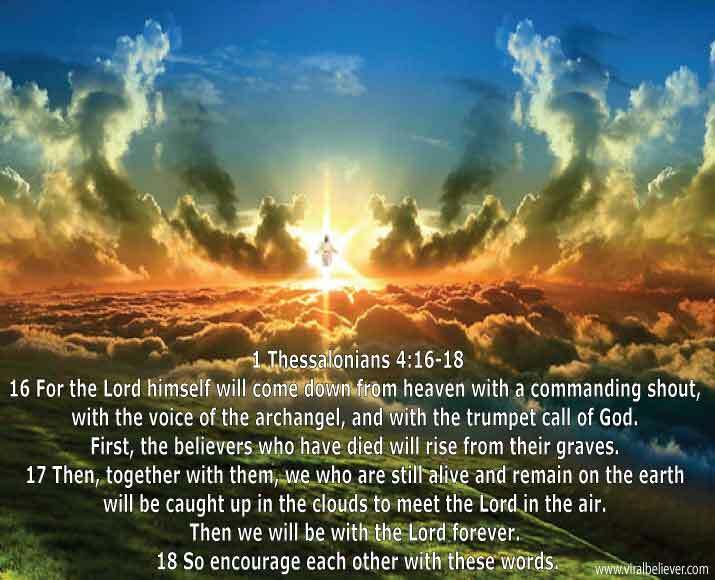 Those believers still alive when the Day of the Lord begins, as well as those who have already died in Christ, will be transformed into new (spiritual) bodies and “caught up” to heaven … the Rapture. At the end of the Great Tribulation, believers will begin our participation in and with the majestic reign of our Lord and Savior, Messiah Jesus for one-thousand years … the Millennium. Then, all things will be made new, even the heavens and the earth. Believers and all these new things will live forever, to infinity and beyond … Eternity. It simply doesn’t get any better than that!